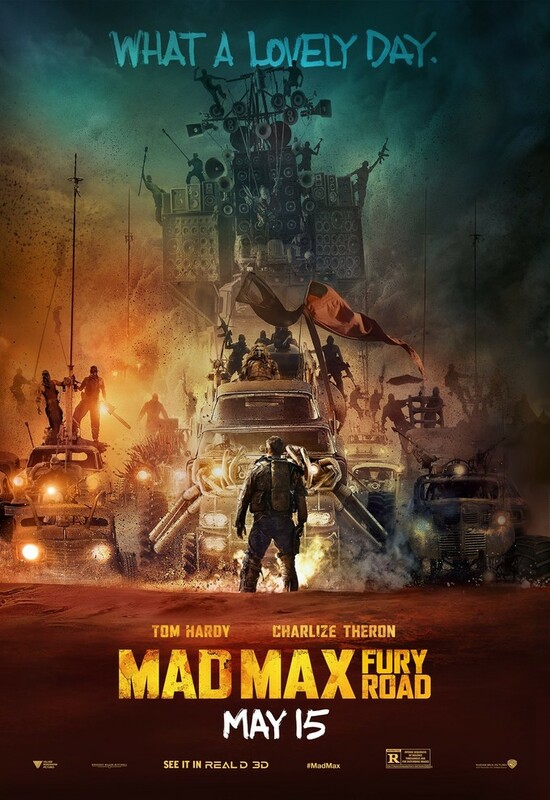 The new poster for Mad Max: Fury Road. Epic. Finding yourself in a rut with your writing this weekend? Why not watch Neil Gaiman’s ‘Make Great Art’ speech to the graduates of Philadelphia’s University of the Arts to get you back on track? The True Detective Season 2 trailer has arrived, teasing a lot of unhappy looking people doing unhappy looking things. Rachel McAdams, Colin Farrell and Vince Vaughn all look the part, but I am most excited to see Taylor Kitsch of Tim Riggins fame and Kelly Reilly from Calvary involved. Reilly has a knack for solemn material and seems like a perfect fit for this series, while Kitsch is Tim Riggins, so he can be in everything as far as I’m concerned. I don’t care if people didn’t like John Carter and Battleship. He’s Tim Riggins! He’s a Dillion Panther! He won state, man! True Detective Season 2 returns to HBO on June 21st. This Sunday (4/12) marks the return of Game of Thrones to television, sending viewers scrambling to reconnect with distant relatives at Easter dinners so that they can piggyback off their HBO Go accounts and once again enjoy the popular character generator/mutilator that is George R. R. Martin’s A Song of Ice and Fire series. Season 5 will see the return of many fan favorite characters including Tyrion Lannister, Arya Stark and poor ol’ fingertipless Ser Davos (pictured above), who mystifyingly continues to put up with Stannis ‘no one wanted to go to Prom with me’ Baratheon (also pictured above looking like tons of fun) for no good reason. 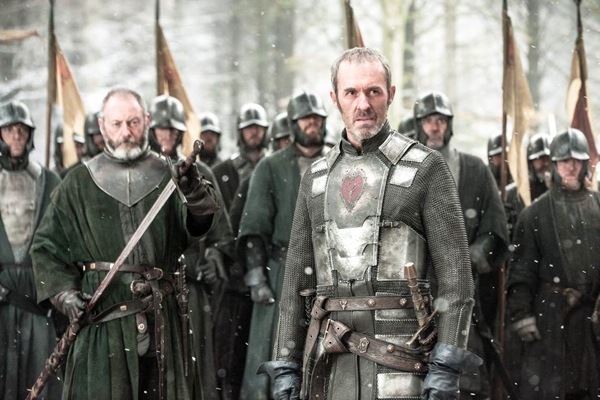 This season will also dive into material from the fourth book of the series ‘A Feast for Crows’ (and some of the fifth ‘A Dance with Dragons’, too, since both books take place chronologically at the same time), bringing us ever closer to the quandary of what will happen when the show catches up with the source material. This week we received an answer to that particular dilemma when show creators David Benioff and D.B. Weiss announced that the show will surpass the books and inevitably spoil the ending, putting to rest the fear that the tv series would fall into an endless limbo after season 6 until Martin finishes the rest of the books. I actually like this decision. I will of course read the books when they come out, but I’m also supportive of the show pushing on toward its own conclusion. I’m sure there will be enough compelling material in both mediums to justify their respective existences. And in even more promising news, George R. R. Martin has stated that he’d like to finish the next book, ‘The Winds of Winter’, before the arrival of Season 6 of the show in 2016. To further support this sentiment Martin has cancelled a lot of appearances this year and decided not to write any episodes of the show this season. So, that’s promising. On the flip side, he also appears to be developing a new show for HBO called Captain Cosmos, which seems to counter all those other previous statements, but truthfully, he can do whatever he wants on whatever schedule he sees fit, and I hope he does just that. All I ask is that the show finishes up relatively soon so Maisie Williams is free to do the ‘Last of Us’ movie. She and Hugh Jackman have some zombie/clicker hunting to do together.